Each and every day, your donations help us make a difference in the lives of our members, our chapters, and our communities. Through transformative programs, life-changing grants, inspiring scholarships, and essential heart health research and education, Alpha Phi Foundation is impacting our members and investing in our communities. See the power of your philanthropy at work in the faces of the women whose lives you’ve changed. View past Donor Impact Reports. 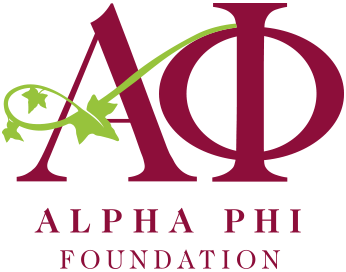 Help Alpha Phi Foundation continue to make a difference in the lives of Alpha Phi members, chapters, and in our communities by making a gift today.